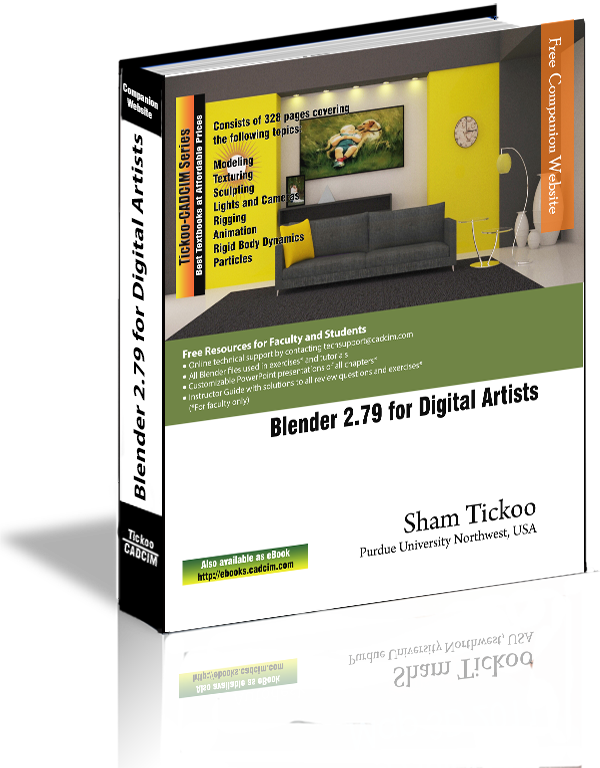 Blender 2.79 for Digital Artists text book covers major features of Blender 2.79 in a simple, lucid, and comprehensive manner. Keeping in view the varied requirements of the users, the textbook introduces the basic features of Blender 2.79 and then gradually progresses to cover the advanced features. This book will help you unleash your creativity, thus helping you create stunning 3D models. The textbook will help the learners transform their imagination into reality with ease. Also, it takes the users through progressive tutorials, numerous illustrations, and ample exercises. Consists of 11 chapters that are organized in a pedagogical sequence covering various aspects of modeling, sculpting, texturing, lighting, rigging, animation, rigid body dynamics, and particle system. The author has followed the tutorial approach to explain various concepts of modeling, texturing, lighting, and animation.